Happy New Year, Part II – Assembling now, The Conscious Army . . .
Peace will prevail because of people just like you. Maybe not this year or the next but ultimately. Amen! 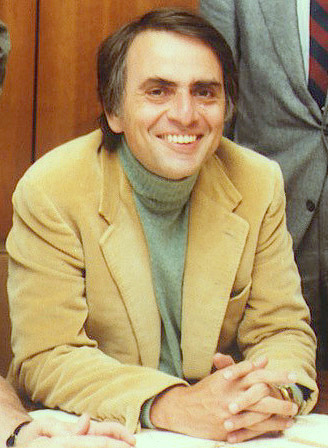 CARL SAGAN was the David Duncan Professor of Astronomy and Space Sciences and Director of the Laboratory for Planetary Studies at Cornell University. He played a leading role in the American space program since its inception. He was a consultant and adviser to NASA since the 1950’s, briefed the Apollo astronauts before their flights to the Moon, and was an experimenter on theMariner, Viking, Voyager, and Galileoexpeditions to the planets. He helped solve the mysteries of the high temperatures of Venus (answer: massive greenhouse effect), the seasonal changes on Mars (answer: windblown dust), and the reddish haze of Titan (answer: complex organic molecules). MORE [The Carl Sagan Portal. 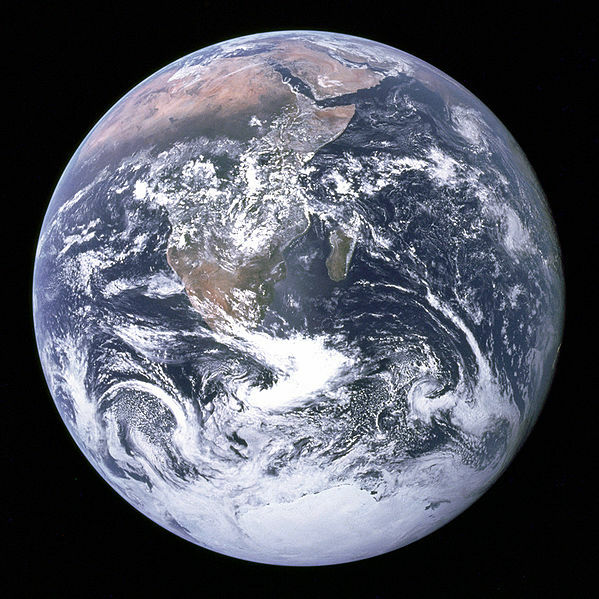 Earth as seen from Apollo 17. The Bardo Group “100,000 Poets for Change” event page is HERE. Beginning 27 September (tomorrow), we’ll post work on Peace and Justice for one week as our participation. We invite others to link their own work to ours and, although the title is “poets” everyone (artists, activists, writers, musicians, bloggers) is welcome. Shortly after the event, we’ll collect your links into a page to create a commemorative collection like we did last year for Poets Against War. More details are on The Bardo Group event page. Instruction on how to add your link will be provided on this blog within the text of each day’s post. We have designed our participation as a virtual event to accommodate bloggers and those who are homebound or otherwise unable to take to the streets. At least one core team member will visit your site if you link in and we hope that you will visit others as well. Meanwhile, many of the wide variety of activities this event inspires will be livestreamed by event coordinators and participants. Please continue to check out 100 Thousand Poets for Change for videos and photographs from the world over and The Bardo Group blog for posts from our own collective. An 2012 (year two) interview with founders Michael Rothberg and Terri Carrion. 100 Thousand Poets for Change, or 100TPC, is an international grassroots educational organization focusing on the arts, especially poetry, music, and the literary arts. It was founded in 2011 by Michael Rothenberg and Terri Carrion, and focuses on a world-wide event each September. HISTORY: 100 Thousand Poets for Change was initially conceived by Michael Rothenberg and Terri Carrion in March, 2011, as a worldwide set of events to take place simultaneously on September 24, 2011. Literary event organizers volunteered to host associated events in their own cities or schools. On September 13, 2011, the city of Santa Rosa, California, declared September 24, 2011, to be “100 Thousand Poets for Change Day” and Stanford University offered to archive all documentation and audiovisual records of the event posted on the 100TPC web site. Ultimately, 700 events in 550 cities in 95 countries took place on September 24 in conjunction with 100TPC, and the event was described as the largest poetry event in history. 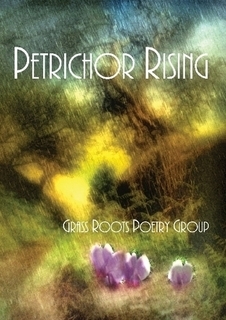 Considering the series of events to be a success, Rothenberg and co-founder Terri Carrion decided to pursue non-profit status for 100 Thousand Poets for Change and establish an annual event in September of each year. STRUCTURE: 100TPC was founded in Guerneville, California, but most organizational tasks are done by individual organizers of local events. Event organizers in individual cities volunteer to create an event in association with 100TPC. The organization’s central office then publicizes the event through its web site, social media outlets, and conventional press releases. The relationship between most local organizers and the 100TPC headquarters remains informal, conducted primarily through e-mail. Organizers do not become officers or employees of 100TPC. Organizers can communicate with each other through the 100 TPC Organization & Communication Hub, a Facebook group available to 100TPC event organizers, where they are encouraged, but not required, to work together and to learn about each other’s events to help develop event ideas. Local organizers, then, have full control over the style and structure of their events—their only obligation is to register their event with the main 100TPC web site. 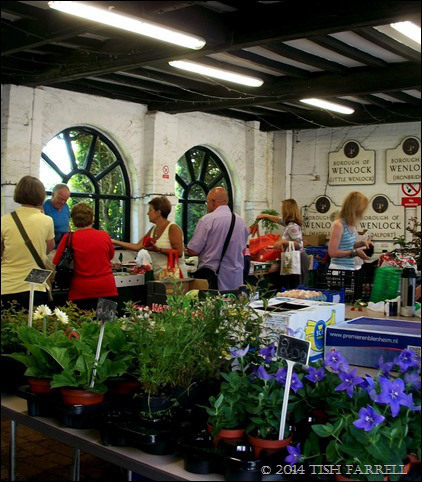 Some events are free; others charge an entry fee and donate proceeds to charity. Most 100TPC events take place in September. Each year, the central organizers pick a Saturday in September as “100 Thousand Poets for Change Day” and focus their publicity on that date. Some organizers choose to create 100TPC events at different points throughout the year. The concept of “Change” in the name 100 Thousand Poets for Change refers to social change, but is otherwise broadly defined and dependent on the definitions of individual organizers or poets. 100TPC events do not necessarily share political or philosophical orientation. The 100TPC web site describes the “change” as having only to fall “within the guidelines of peace and sustainability. 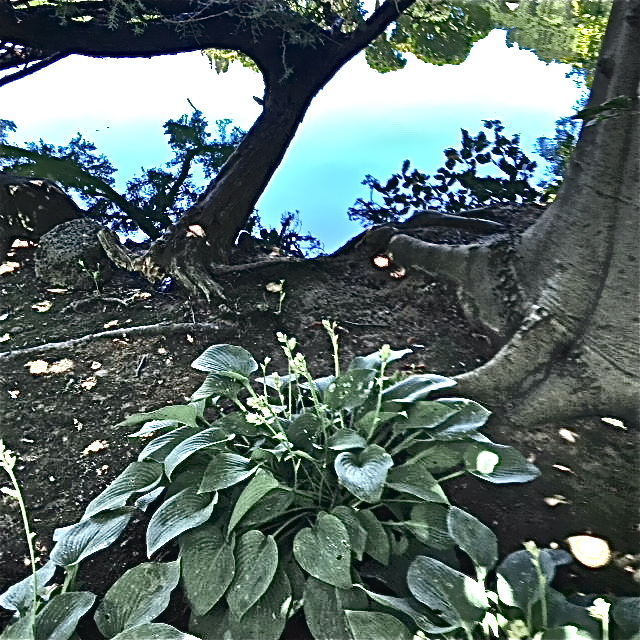 JAMIE DEDES (The Poet by Day)~ I started blogging shortly after I retired as a way to maintain my sanity and to stay connected to the arts and the artful despite being mostly homebound. 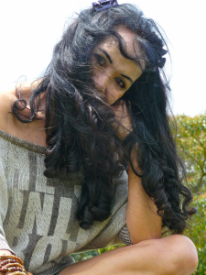 My Facebook pages are: Jamie Dedes (Arts and Humanities) and Simply Living, Living Simply. With the help and support of talented bloggers and readers, I founded The Bardo Group because I feel that blogging offers a means to see one another in our simple humanity, as brothers and sisters and not as “other.” Effective October 4, 2014, I pass the administration of the blog to Terri Stewart (Beguine Again). Tthe Beguine Again collaborative and The Bardo Group are coordinating a consolidation of the two groups. I remain as poetry liaison and a member of the Core Team. 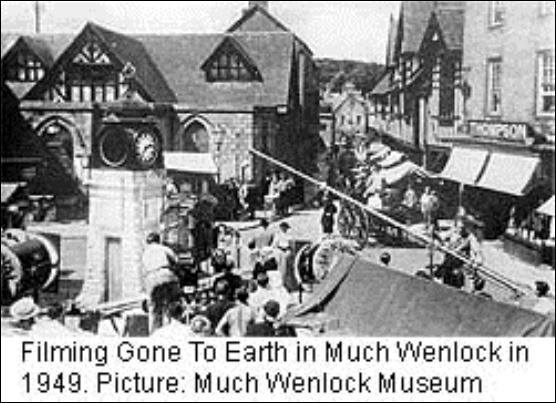 It’s hard to imagine, but in 1949 Hollywood descended on my little home town of Much Wenlock. Both its locations and inhabitants featured in David O. Selznick’s screen version of Mary Webb’s 1917 novel, Gone to Earth. 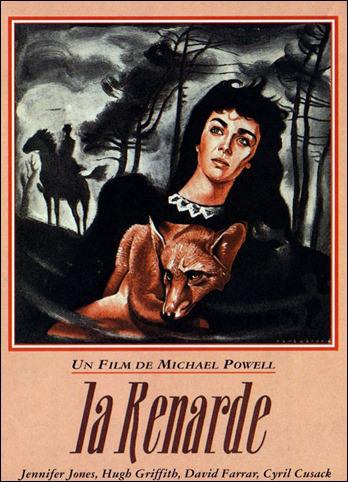 The film’s star, Oscar-winner Jennifer Jones, certainly looks the part, and in this respect she well conjures the book’s central character, the untamed but doomed spirit that is Shropshire lass, Hazel Woodus. 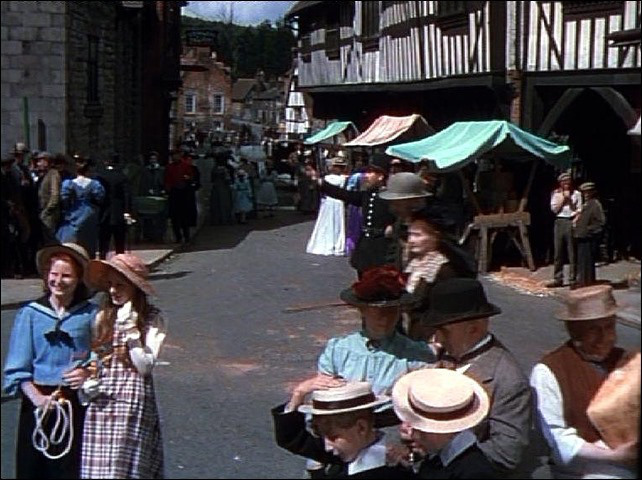 As an American, Jones of course had to receive specialist drilling in the Shropshire dialect, a form of speech which these days is scarcely heard, but would have been the norm during Webb’s childhood. She writes it very clearly in the book’s dialogue, and Jones makes a good stab at it, but it perhaps sounds overdone to modern ears. People in England do not speak like this any more. 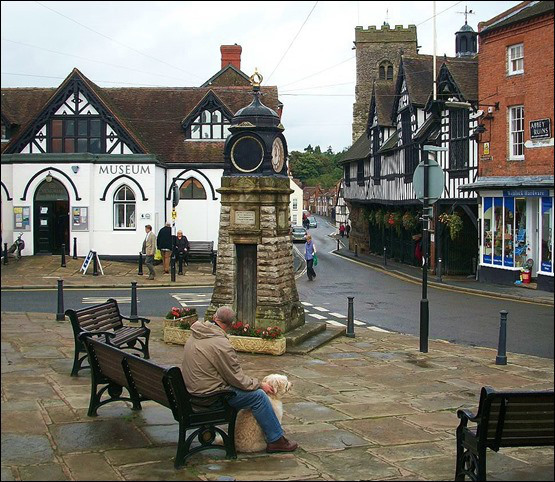 Mary Webb herself spent her adolescence in Much Wenlock, and for the rest of her too-short life lived in various parts of rural Shropshire. She knew country ways intimately. Her writing is rooted always in the landscapes of her own growing up – the upland wilds and rugged long-gone lead-mining and peasant farming communities, the small market towns. But although she observes the hardship and poverty with a keen eye, she has tended to be dismissed as a writer of the romantic and rustic, her work parodied in Stella Gibbons’ Cold Comfort Farm. In her day, though, she had some very well known literary admirers including Rebecca West and John Buchan (Thirty-Nine Steps). I think her novels deserve a rediscovery. Her themes are still relevant today: male attitudes to women being one of them; human cruelty and wilful destructiveness for another. In Gone to Earth, the central character, Hazel Woodus, is eighteen, motherless, and living in an isolated cottage with her coffin-making, bee-keeping father, Abel. Her only companion is a tame fox, Foxy, and her only guidance in life is dubiously received from her dead mother’s book of gypsy spells. Two men want her: the Baptist Minister who marries her and tries to protect what he sees as her innocent spirit, and the fox-hunting landowner who wants only bodily possession. Hazel herself is torn between respectable conformity and her growing sexual awareness. And if I tell you that the term ‘gone to earth’ is the huntsman’s cry when a fox goes underground to escape the hounds, you will know that the story does not end well. In other senses the book’s plot may be purely allegorical. Above all, it is about the pointless destruction of natural beauty and freedom. Webb was writing it at a time when three of her younger brothers were fighting in the World War 1 trenches. 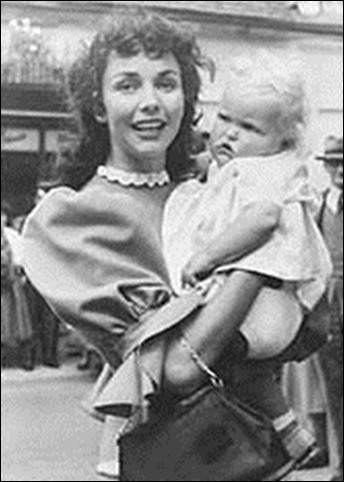 The making of the film did not run altogether smoothly, and there are perhaps some parallels between Hazel as an object of male possession and control , and the position of the film’s star, Jennifer Jones. She had had an affair with the executive producer, David O. Selznik, and by 1949 they were married. He wanted Gone to Earth to be solely a showcase for her, and he did not think the film’s makers, the fabulous storytelling team of director Michael Powell, and screenwriter, Emeric Pressburger, (The Red Shoes, The Life and Death of Colonel Blimp) had done her justice. He even took them to court for not producing what was in the script. He lost the case, but he still had the right to make an alternative version. The upshot was that for the 1952 American release, renamed The Wild Heart , he chopped all the scenes that did not make the most of Jones, had new scenes shot, and to make sense of the makeover added a commentary by Joseph Cotton. The film was not well received, and so did not serve his purpose. 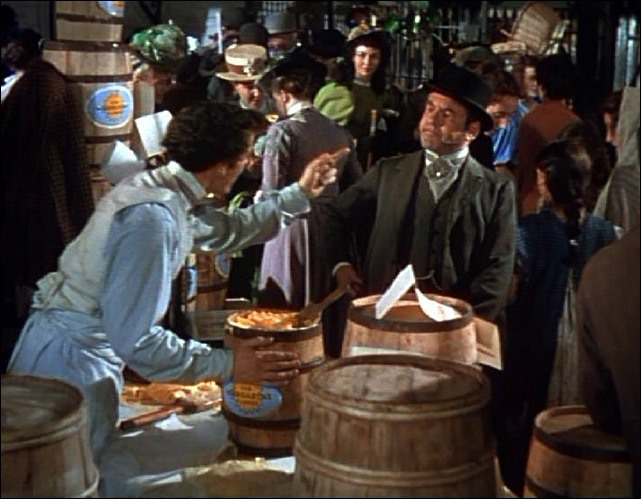 Only recently has the original Powell and Pressburger version been fully restored. 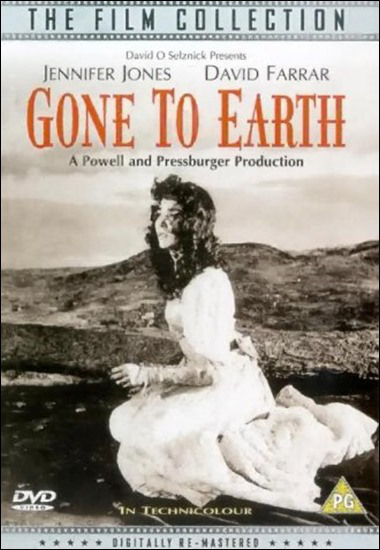 Mary Webb: neglected genius for the synopsis of Gone to Earth and also for details of her other works. 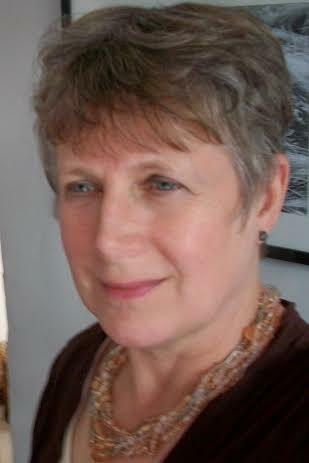 TISH FARRELL (Writer on the Edge) ~ is an award-winning English writer of fiction and non-fiction for young adults. In the 1990s, after a career in Museum Education, she went to live in Kenya, East Africa. 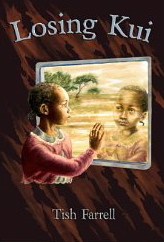 It was here that she began writing for the African Children’s Literature market. 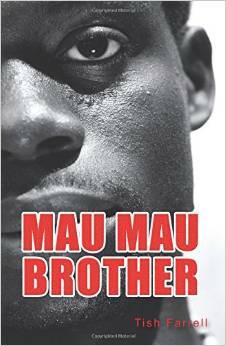 An anthropologist by training, she was dismayed at the lack of contemporary fiction that reflected young Africans’ lives in their increasingly urbanised world. This poem was written by Noris Roberts, a Venezuelan poet educated in Commercial Law at the Universidad Santa Maria in Caracas. Her collection The Mirror of the Soul was published in limited edition with proceeds going to a healthcare foundation for at-risk children. You will find her complete bio HERE. The work is read by Victor David Santiago, poet, writer, musician and founder/editor of Subprimal Poetry Art. School in the Woods Chief Instructor Doug Getgood spent a year living alone in a cabin in the Northern wilderness of Ontario, Canada. This is his record of that year. Done . . . and not done yet . . .
across Timelessness . . .
or sent to the right people in the right places. … as though there had been nothing. No one. Dedicated to everyone who is living with dying. That would be all of us. A Taiwanese advertisement based on a true story. Inspiring. Give it a chance. It will make you smile … and maybe shed a tear or two. 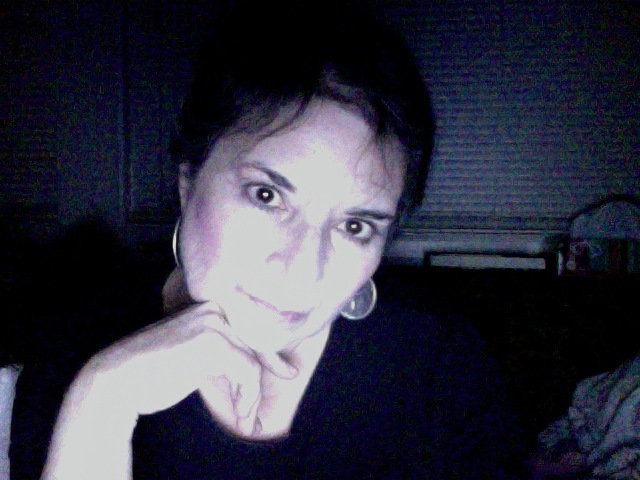 JAMIE DEDES (The Poet by Day)~I am a medically retired (disabled) elder and the mother of married son who is very dear. I started blogging shortly after I retired as a way to maintain my sanity and to stay connected to the arts and the artful despite being mostly homebound. My Facebook pages are: Jamie Dedes (Arts and Humanities) and Simply Living, Living Simply. With the help and support of talented bloggers and readers, I founded The Bardo Group because I feel that blogging offers a means to see one another in our simple humanity, as brothers and sisters and not as “other.” I am the poetry liaison and a member of the Core Team. Terri Stewart (Beguine Again) is in the lead position and the Beguine Again collaborative and The Bardo Group are coordinating a consolidation of the two groups. The video was uploaded to YouTube by tomasisms and is the work of Andrea Dorfman. The poem was written by Tanya Davis, poet, writer, musician. Thank you to Michael Yost (Michael’s Lair) for sharing this one with us. Br. David is notable for his work fostering dialogue among the faiths and for exploring the congruence between science and spirituality. 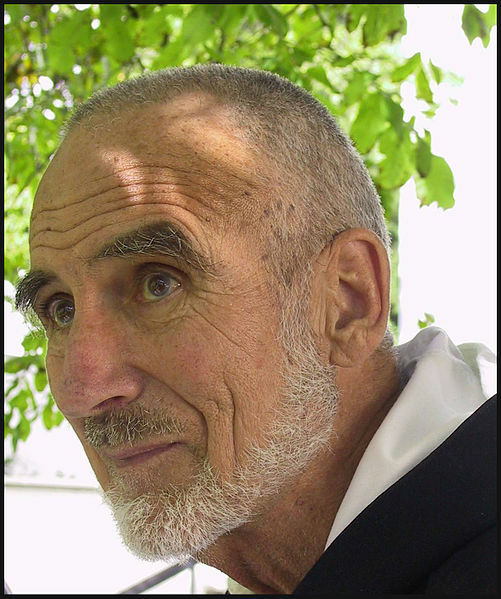 Early in his career he was officially designated by his abbot to pursue Catholic-Buddhist dialogue. 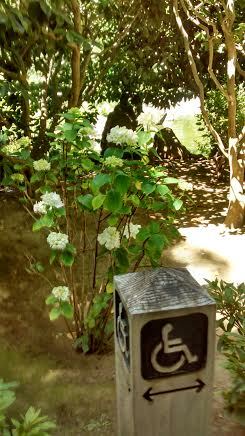 He studied with several well-known Zen masters. He is the author of feature articles, chapter contributions to collections, and books. Among the most notable are Belonging to the Universe (with Frijof Capra) and The Music of Silence: A Sacred Journey Through the Hours of the Day (with Sharon Lebell). Br. David is the co-founder of A Network for Grateful Living, dedicated to the life-transforming character of gratitude. Our thanks to Laurel D. for suggesting this one. If you haven’t read or heard the tale, “The Man Who Planted Trees” by French author Jean Giono, it is a wonderful story about how one person can have a tremendous impact on the world! It’s also a story of how everything in nature, including man, is connected. “The Man Who Planted Trees” by Jean Giono. Image borrowed from Wikipedia Commons, fair use agreement. It tells about how a single, reclusive shepherd manages to successfully re-forest a barren and desolate area in the foothills of the Alps. 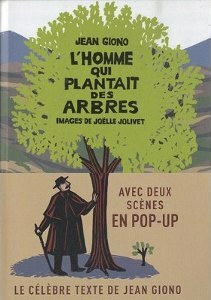 Elzéard Bouffier, the shepherd, dedicates the latter half of his life to re-planting acorns, beech nuts and other tree seeds, one by one, patiently walking the land where nothing would grow and no water flowed, and the people who lived there were a hard, bitter folk. When I first heard the tale, I thought that it was based on a true story. I later discovered that it is not. However, there have been real life counterparts! There is a man in Assam, India, named Jadav Payeng, who single-handedly managed to plant a forest covering 1,360 acres. Abdul Karim is yet another man in India who used the same method of planting trees as the shepherd in the story, and over a period of 19 years, created an entire forest from nothing. Another man, Ma Yongshun, was a forestry worker in China who planted more than 50,000 trees in his lifetime! In this video, photographer and Moving Walls exhibition co-curator Susan Meiselas, an American documentary photographer, discusses documentary photography’s potential to connect and move audiences by “expanding the circle of knowledge” about human rights and social justice issues. The video also features a variety of work by photographers supported by the Open Society Institute Documentary Photography Project. The project funds photographers who go beyond documentation, using images to foster civic engagement, organizing, advocacy, outreach, public awareness education, and media attention. 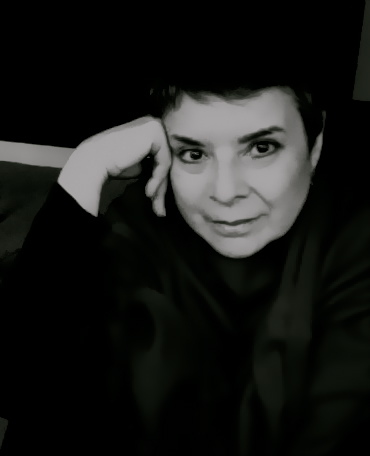 English poet, Myra Schneider, is a friend of The Bardo Group. Her website is HERE. Courtesy of the Fellowship Bible Church of Little Rock, AR via friends Laurel D. and Brian B. Thank you! Today is Ash Wednesday, the first day of the forty-day Lenten season which honors Christ’s contemplative forty-days in the desert. Whether or not you are Christian or even religious, this is a good time of year to step back, take a breath and prepare for your personal spring and renewal. I am only just now familiarizing myself with English poet Roger McGough’s work, having recently been introduced to it by a friend who sent me his poem, Mafia Cats. The presentation she sent me is the one HERE (scroll down), which I couldn’t load into this post. I think it’s the better one, though the one below is fun and funny too. 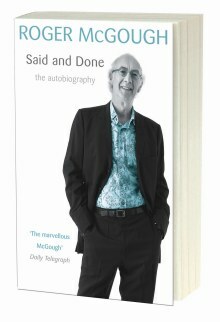 McGough is a prodigious writer with an apparently broad range. He has about fifty published books. 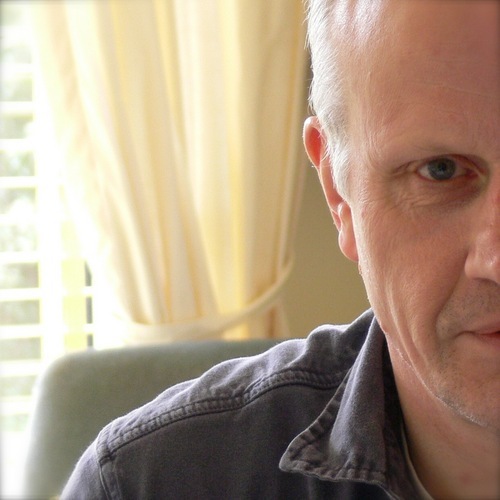 Of a certain age – he is one of the Liverpool Poets (c.1960s) – he takes some inspiration from the Beats. It seems he belongs to several poetry societies and has a bit of alphabet jumble after his name, indicative of some of his country’s special honors: CBE – Commander of the Most Excellent Order of the British Empire and FRSL – Fellow of the Royal Society of Literature. I’m always happy to see poets honored in this way. Until I read more about him and much more of his poetry, I’ll just leave you with Roger McGough’s own reading of Mafia Cats, which will surely put a smile on your Wednesday face. Don’t forget to join us this evening (7 p.m. PST) for Writers’ Fourth Wednesday prompt hosted by poet, writer and writing coach, Victoria C. Slotto. 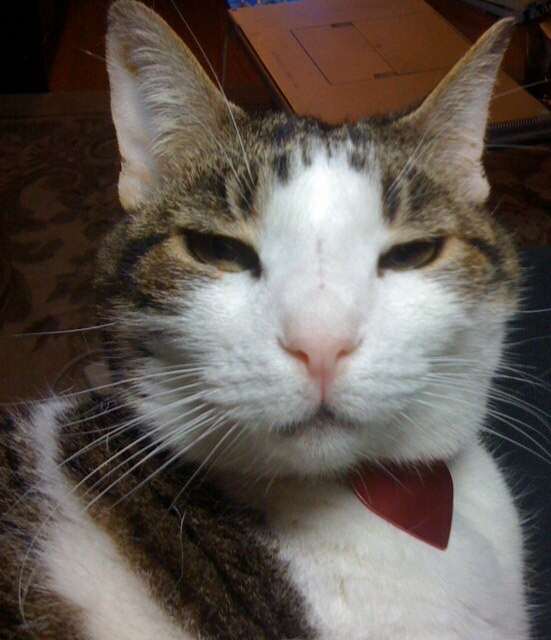 Mister Linky will remain open for seventy-two hours so that you can link in your own work in response to the prompt. Victoria and I will visit and comment.